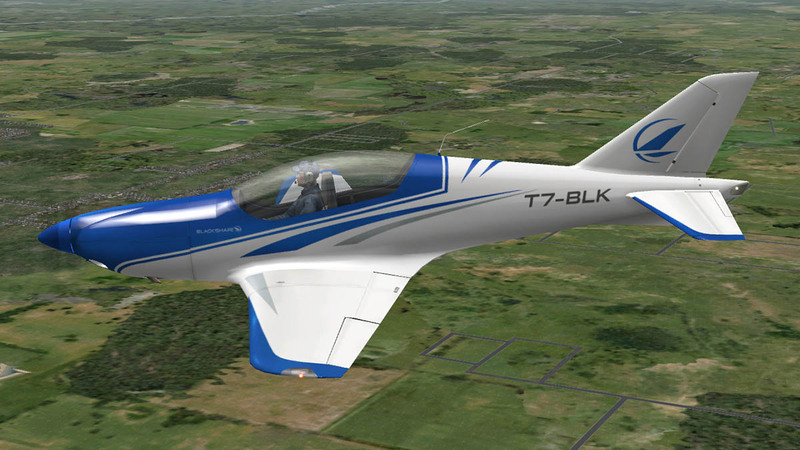 The BlackShape Prime is a revolutionary ultralight aircraft developed by the italian BlackShape company of Monopoli, Italy, and features a full carbon-fibre frame which makes for an extremely strong and low weight aircraft. The Prime is an evolutionary design that began life as an all-wood ultra-light aircraft designed by Guiseppe Vidor of Italy. 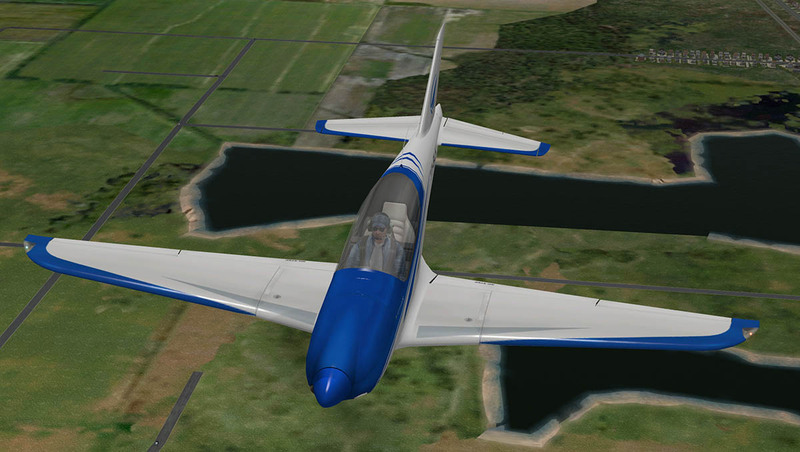 Then airplane became the Millennium Master, produced by Millennium Aircraft of Italy in 2007, and was first shown in its current form at an Aero show held in Friedrichshafen in 2009. 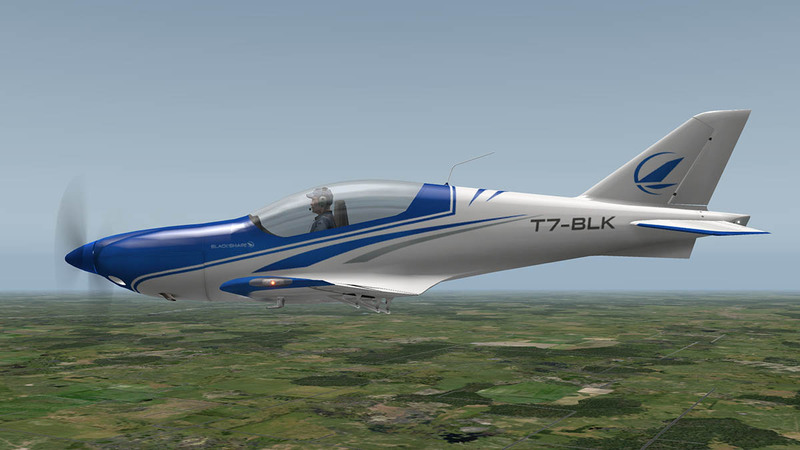 The aircraft is made from pre-preg carbon fibre. And its 7.94 m (26.0 ft) span wing has an area of 9.96 m2 (107.2 sq ft) and double slotted flaps. The standard engine available is the 100 hp (75 kW) Rotax 912ULS four-stroke powerplant, driving a two bladed constant speed propeller, which gives it a maximum level speed of 300 km/h (186 mph) and a cruise speed of 275 km/h (171 mph). The Prime is classed as an "Ultralight". 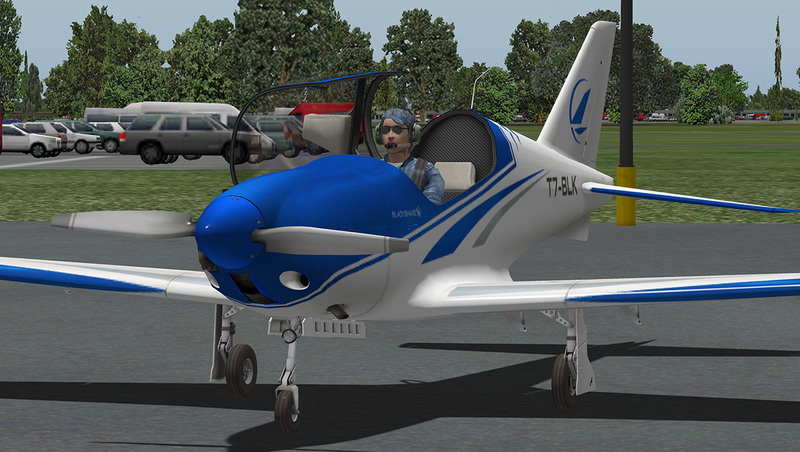 In the United States it is classed as an "Light Sport Aircraft", But you have to have a special license (rated) in the U.S. because the aircraft has a three leg retractable undercarriage. 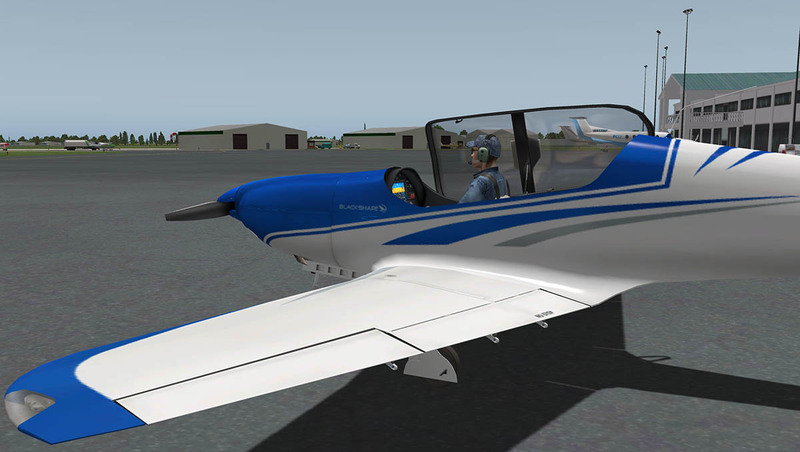 dmax is well known to anyone who has purchased X-Plane because his Cirrus Jet, Stinson L5 Sentinel, Cessna 172 SP and Columbia 400 are part of the X-Plane10 default series that comes with the simulator. 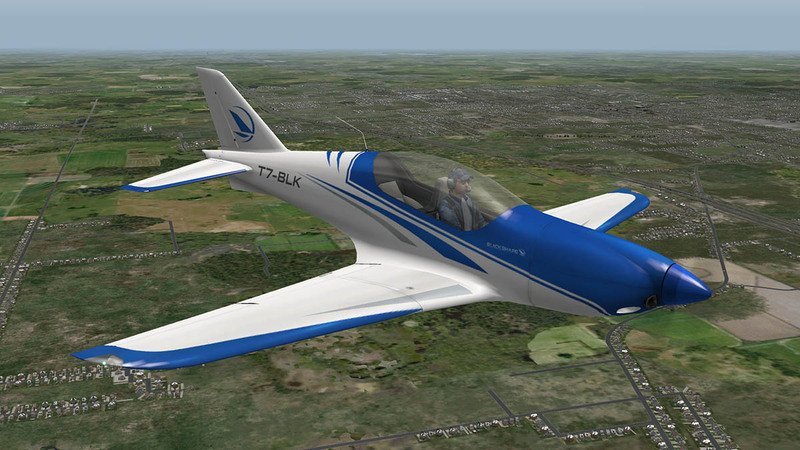 He is also well known for several aircraft including the Tecnam P92 and P2002 aircraftand great version of the Typhoon Eurofighter (free here). As modelling goes the Prime is excellent. 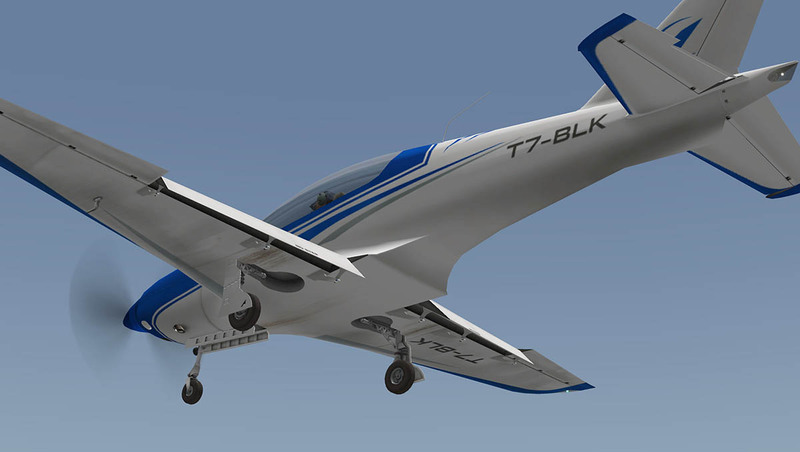 It is hard to reproduce carbon-fibre or plastic looking aircraft because it can come off a little false (or just plasticky), The Prime does not look like that, it very well modelled. However the textures are not great in their resolution, so they can even when you are set at a high texture resolution come still across when close as a little jaggy and buzzy. A shame as the 3D work underneath is excellent. 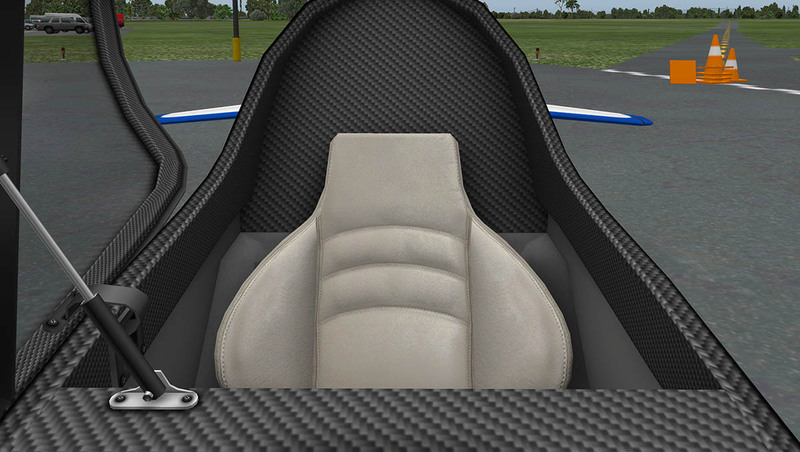 This is highlighted by the woven carbon-fibre matting on the cockpit tub which is excellent and of a high quality even if the weave is a little large. The same could be said for the entire interior which is very well executed in detail and design, highlights are the excellent control stick and well created seats for two. The rear seat is empty unless you increase the weight to over 265 lb. from the X-Plane "Aircraft/Weight and Fuel menu" and then a female passenger appears. Another highlight is the excellent bubble canopy. It looks very realistic and has a feel of quality about it. 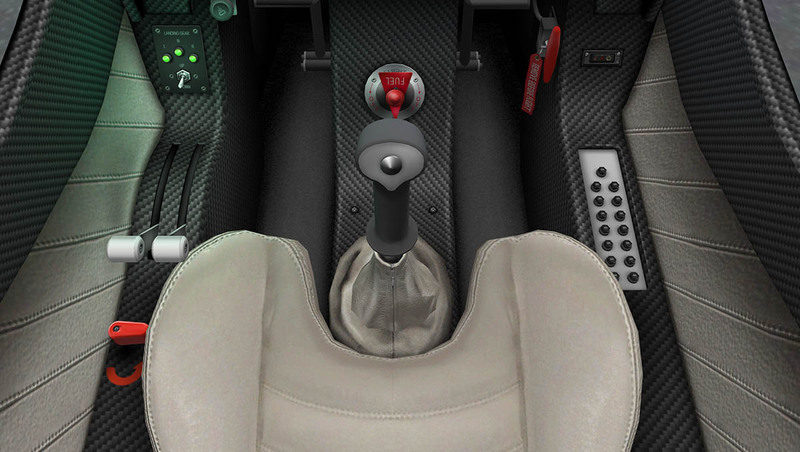 You open and close it with the 3d handle or the “canopy_toggle” function. 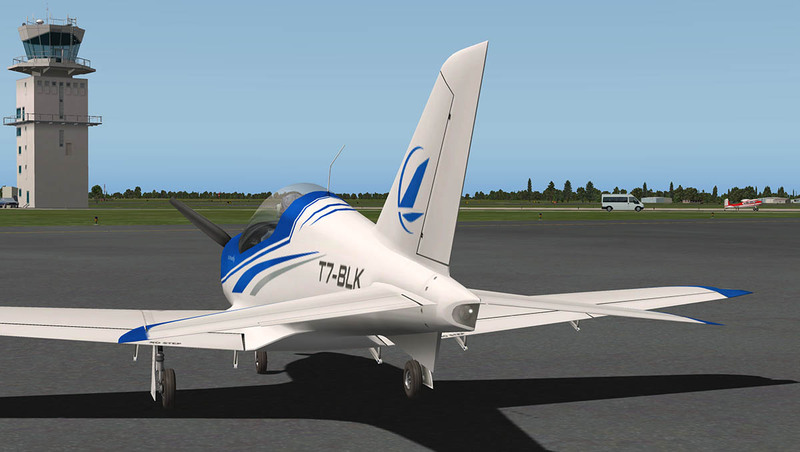 The aircraft does have a very nice shape about it. and is quietly different from the normal style of ultra-light machine. From the rear the Prime reminds me of a BAE Hawk that the Red Arrows display team fly, the Prime is no jet of course but the tail shape and rear elevators do have the same ring to them leading on to the bubble canopy. 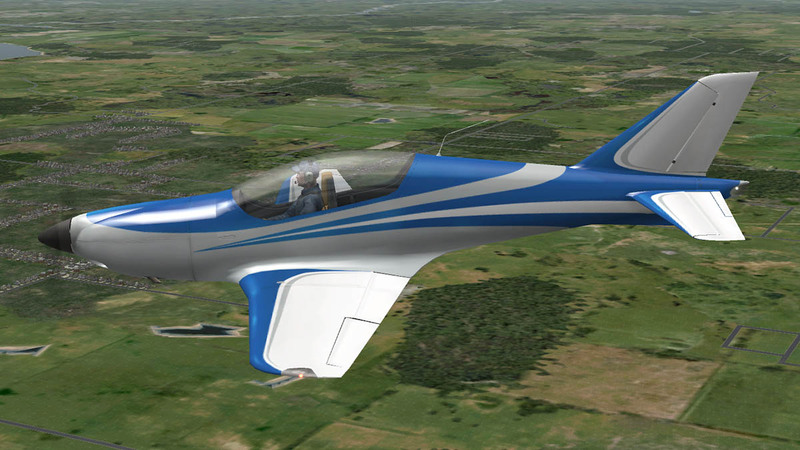 The wings are also a lovely efficient shape that are beautifully modeled here. 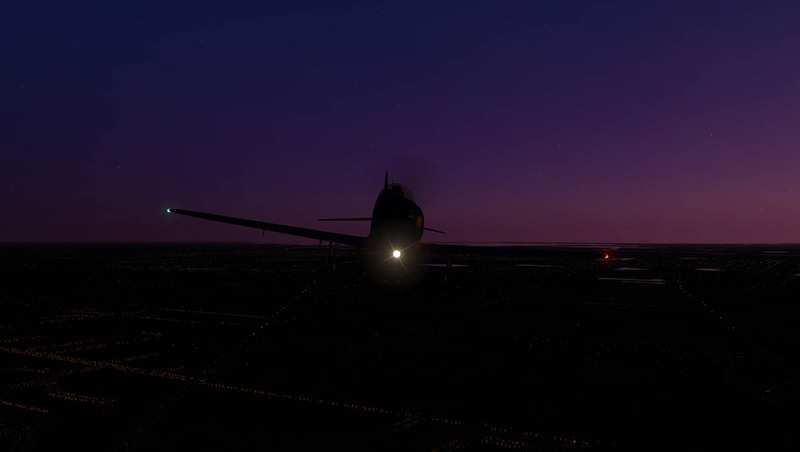 The edge wing lighting is well done in quality as well. 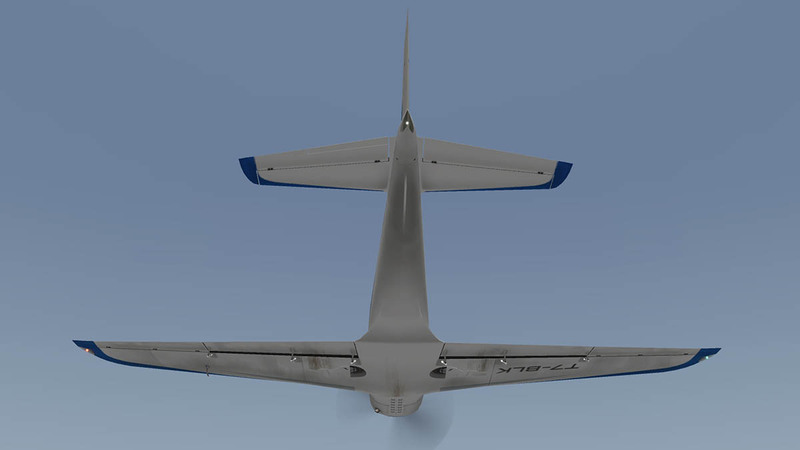 The three stage flaps are 0° (neutral) - 10° (take off) 20° and full flap 30°. 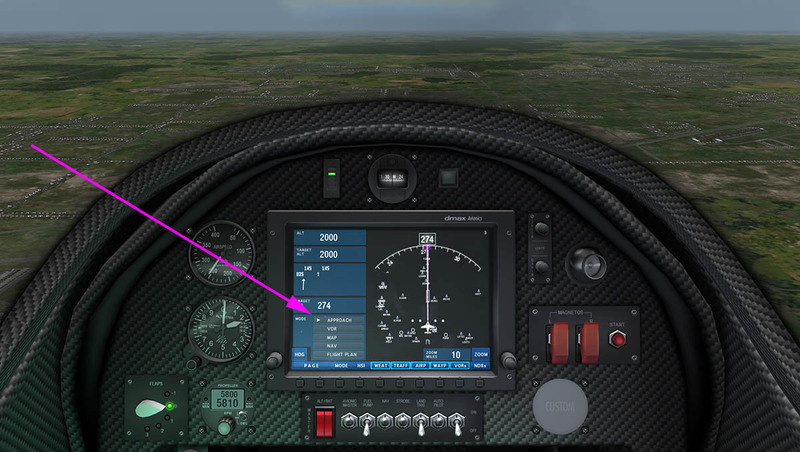 There is an extra -10° (negative "aps or up) stage as well that is used when at speed in flight to keep the nose level... This flap function is not on the real aircraft. 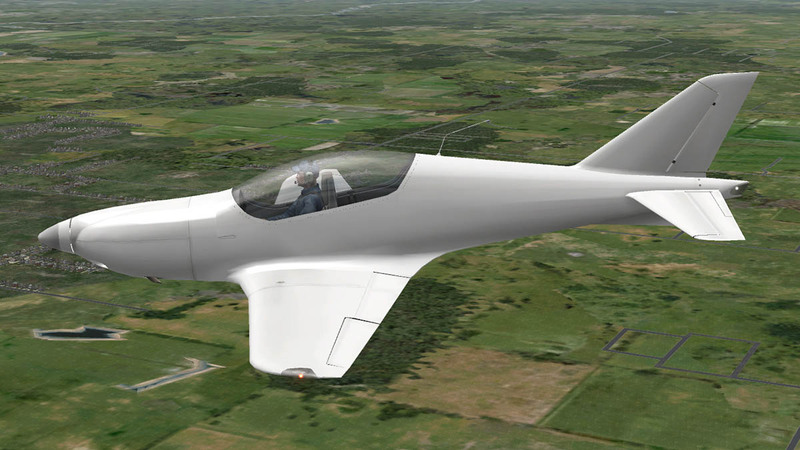 Add together an extremely light airframe and a powerful engine for its class and the aircraft is going to perform well. 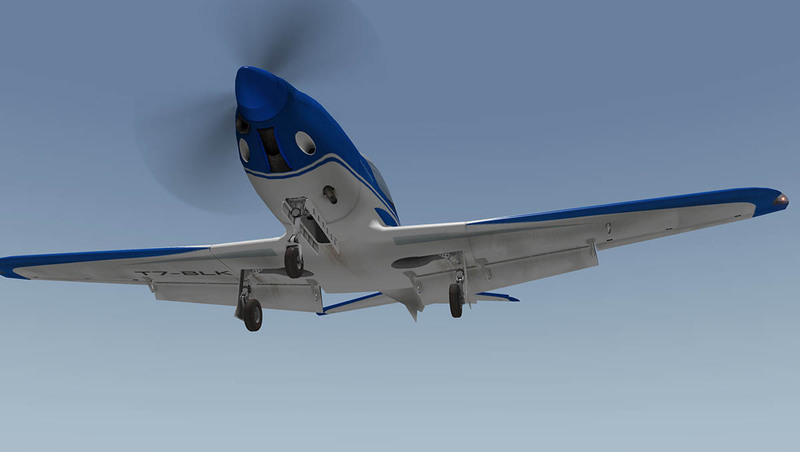 there is a electronic propeller control. 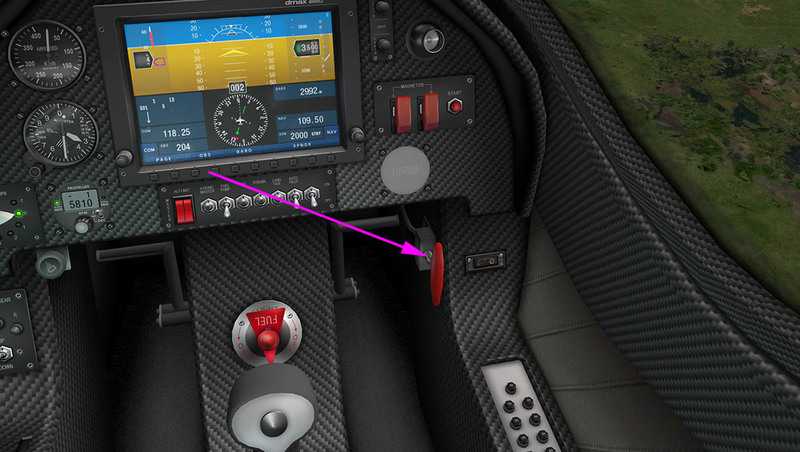 Which is a small toggle switch on the controller that can be used to manually adjust the propeller pitch instead of a mixture lever, which I set at 6000rpm. 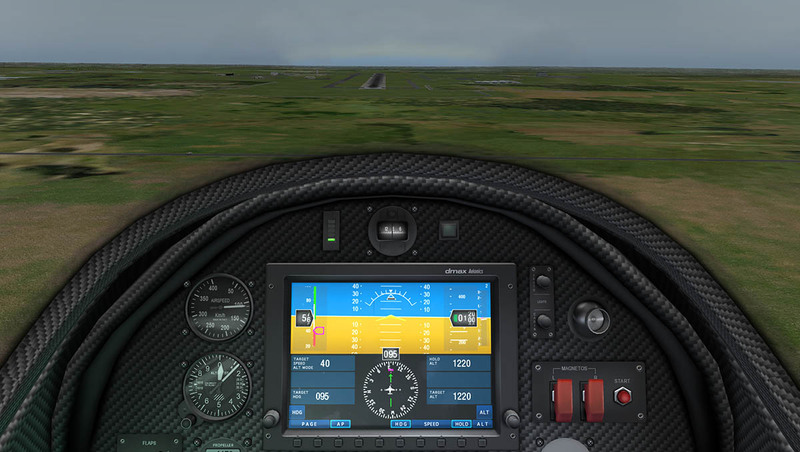 And with the quick on the power you will find that the takeoff rolls are extremely short at around 180 m to 200m to the point of takeoff and landing rolls are about the same distance. The Prime will climb easily at around 1500fpm with the gear down then accelerate to around 2000fpm with the gear retracted. I found the best band still at 1500fpm to still give you plenty of power in reserve. 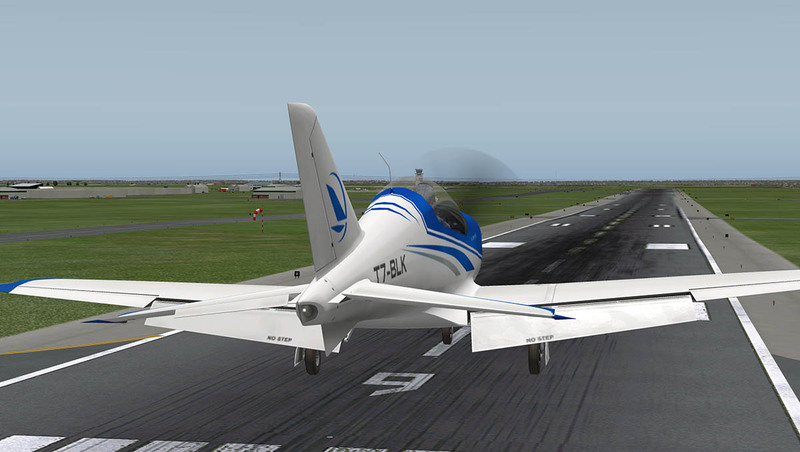 Cruising speed is around 200 Km/h (110kts) with top speed around 305 kmh (183 kts) but you will never go there. 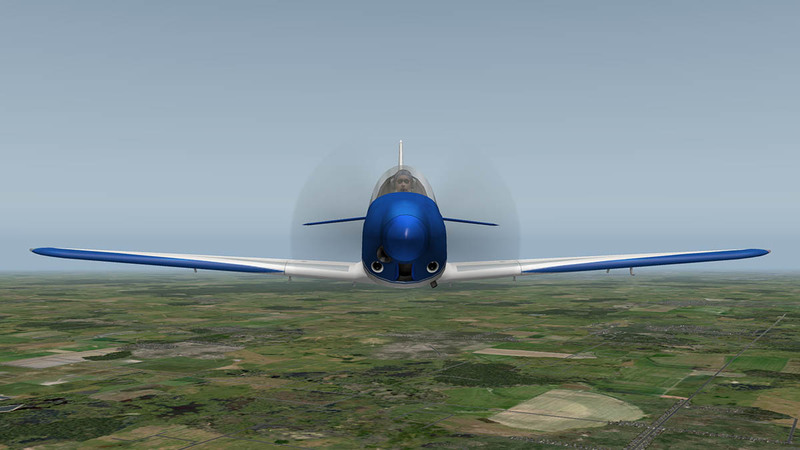 You feel tight and enclosed in the aircraft and with the passenger on board behind you it feels like you are sitting in a glider arrangement. The large display is very well designed by dmax. 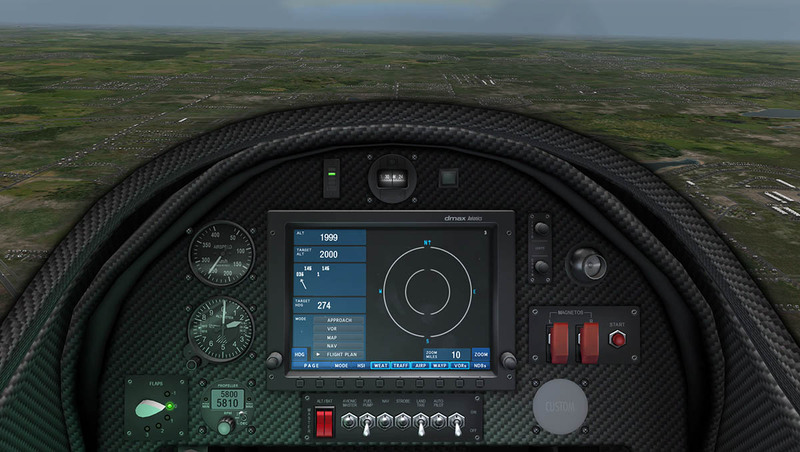 You have to be careful in that it is easy to concentrate more on the screen than on the horizon (It is so large), so you are soon fiddling around and flicking the aircraft around as it is so nimble, you will then find it is quite touchy in your hands, slowing down and finding the smoothness is something you will need to concentrate on to fly the aircraft well. 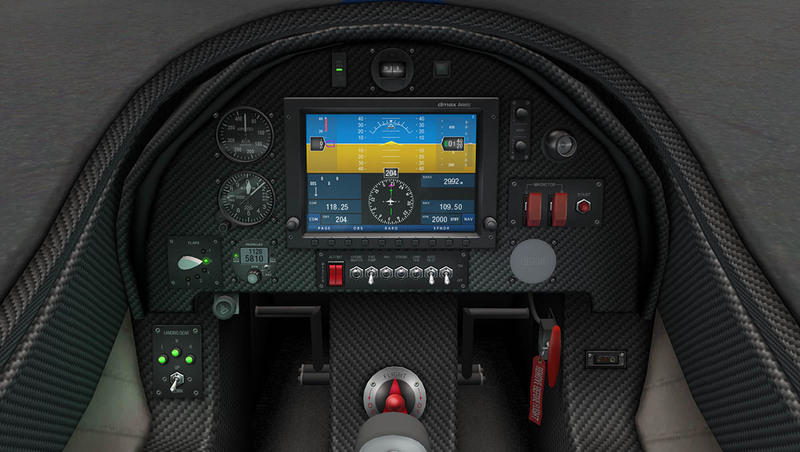 Besides the main display there are the two beautiful Altimeter and Speed dials. Like most modern displays the buttons are located below the screen. 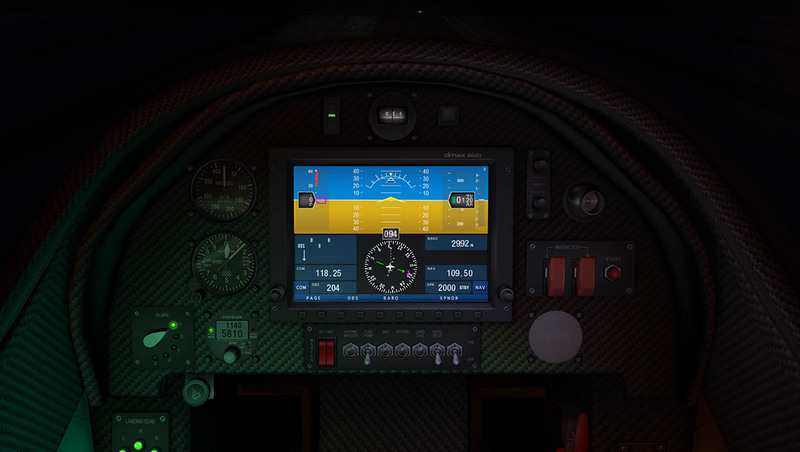 The main one is the "pages" selector that has the selections of the - main flight display - engine conditions - Map. 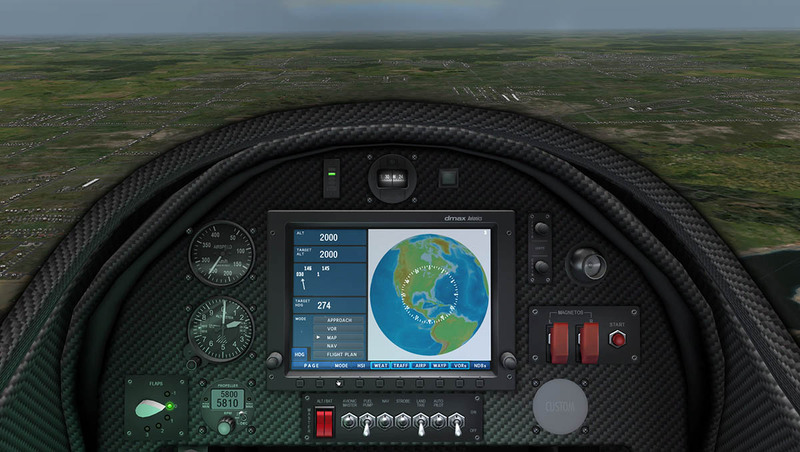 The MAP displays will show the usual - Approach - VOR - MAP- NAV and flightplan pages. with zoom located on the right hand side. Like all menu driven displays it will take a little time to navigate effectively around them all. But this system is more simplistic than most. All radio settings (Comm 1/VOR1/Transponder) are via the display. Liveries by and large are quite sparse?... The white one can be a basis for a livery, but there is a paintkit supplied. 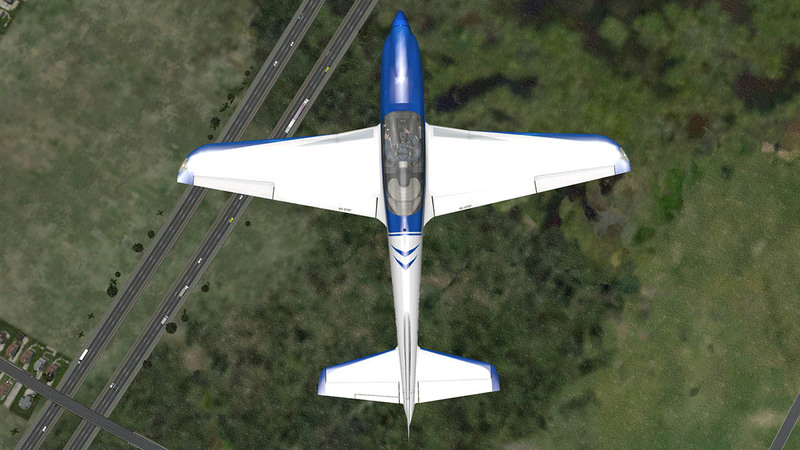 The Blue livery is the default and there is the "Millennium" livery that looks half completed? Their are two features that are interesting. 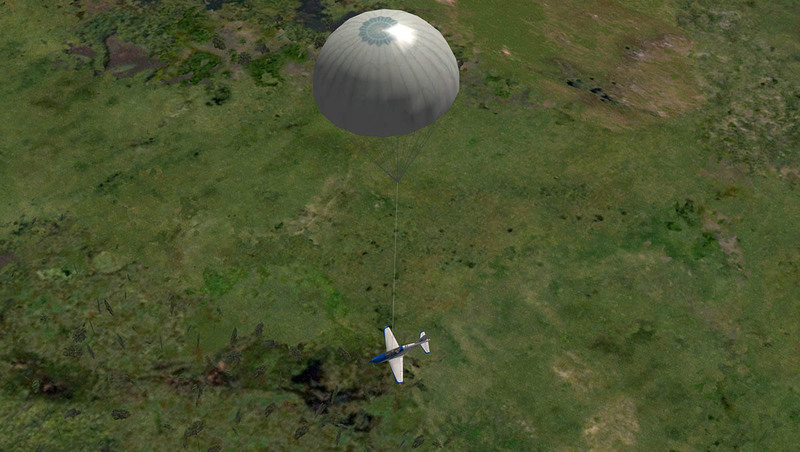 First the escape parachute! 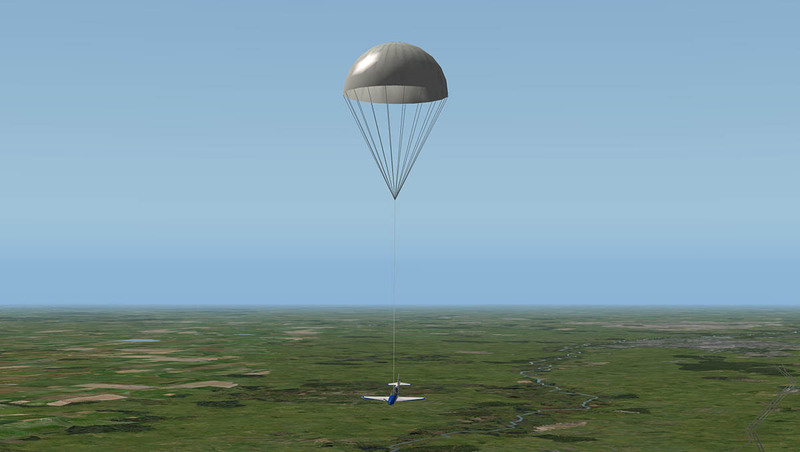 If your engine conks out on the Prime then you will not die a thousand deaths... As you have an escape parachute! Pull off the safety tag off and then pull out the red handle and you will be pulled violently upwards by a large parachute. It is then a very serenely slow ride and float down until you hit the ground with a backbreaking thud! After a short stay in hospital you can then resume your flying career. Secondly are the wet, cold and frost features. 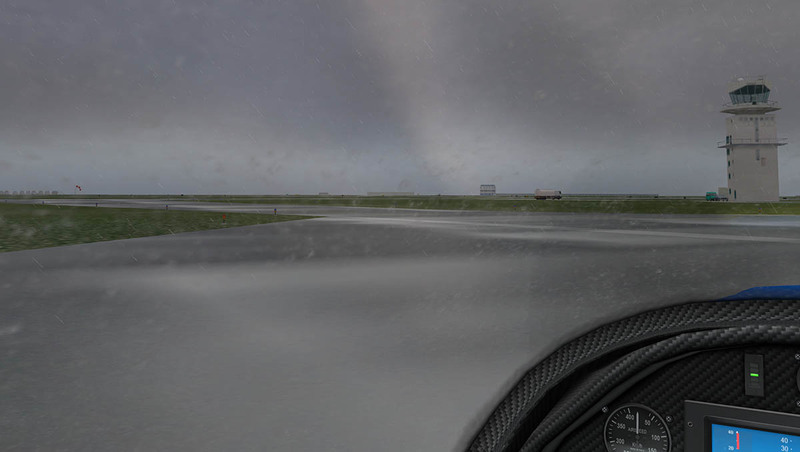 Rain and ice effects on glass are becoming the normal in X-Plane. The effects here are one of the best I have seen yet. The rain drops are very clever in fitting around that lovely bubble canopy, go colder and you get mist and fog in there as well. When airborne the drops are moved on by the wind but the effects are still there, so it becomes very realistic. 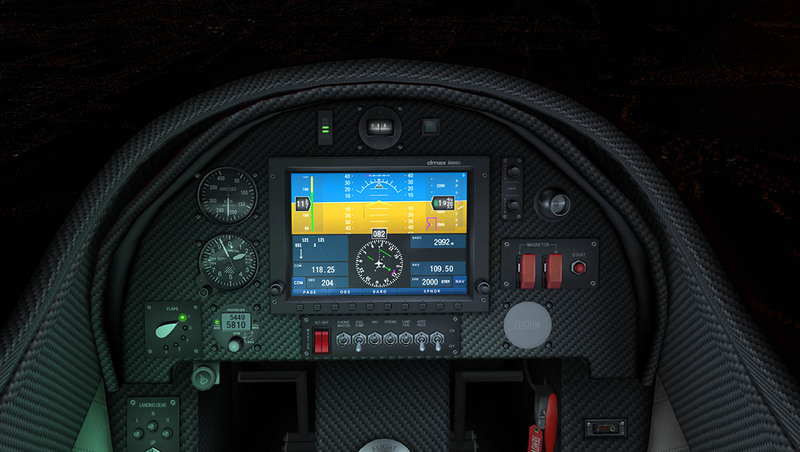 Note the excellent glow of the panel display screen on your forward view, again very realistic. The changes in this new version are minimal but essential. 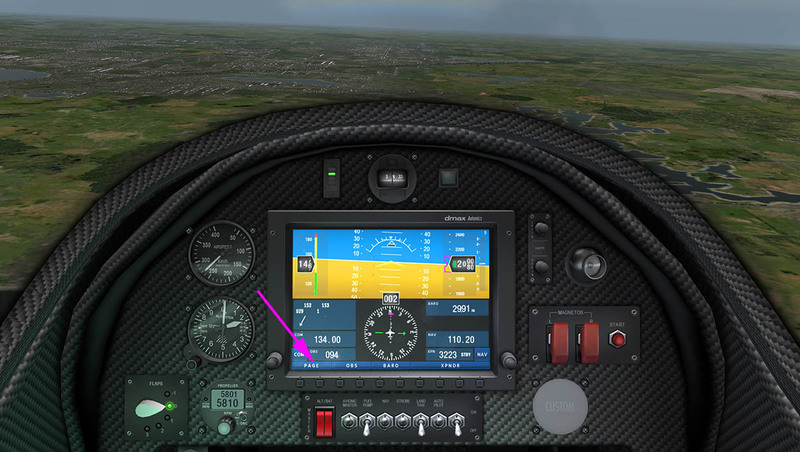 Every one wondered why the carb heat didn't work when it is a standard feature in X-Plane, now that is now fixed. 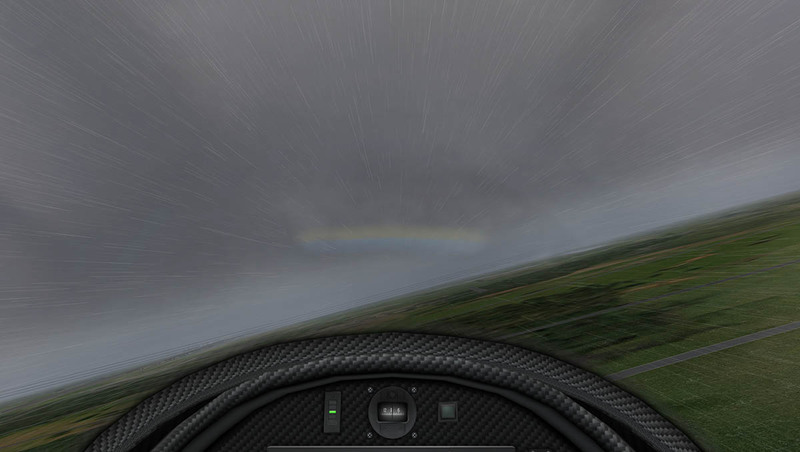 The autopilot is now more refined, but I still found it hard in the aspects of V/S vertical speed changes. 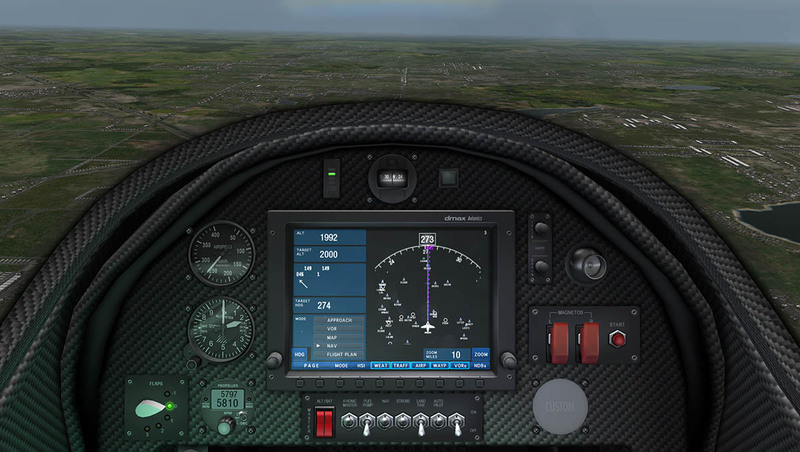 get it wrong and the aircraft will zoom up to the next set altitude while you hang on, going down is very hard, and makes it hard work in the approach mode when wanting to lose altitude for a landing position. 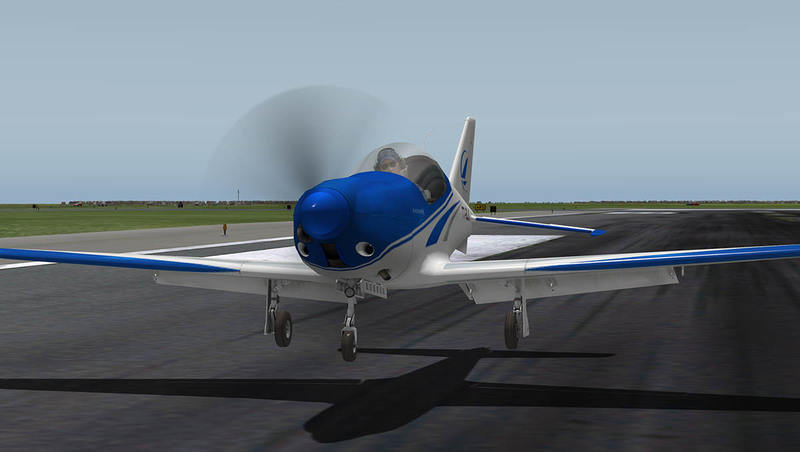 The aircraft is extremely light, So in the POH (supplied) you need an approach speed of 150Km/h (80 kts) before dropping the gear down and a maximum speed of 120 Km/h before you drop the flaps a notch. 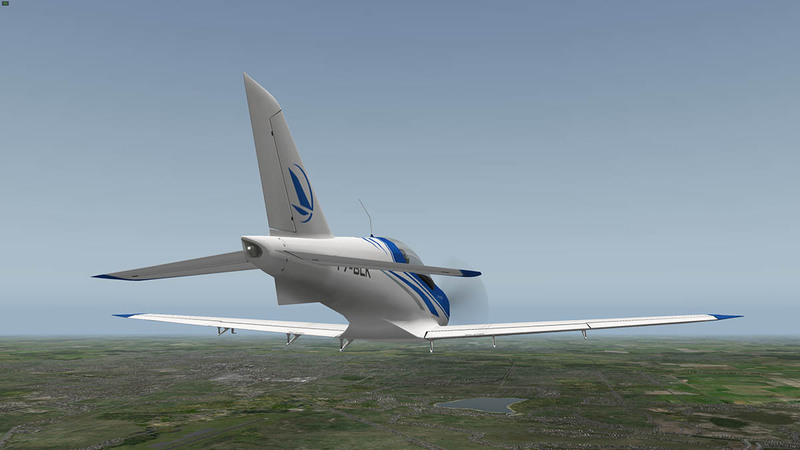 You will get a lot of drag, not only from the gear in the airstream, but the flaps kick in a fair amount as well. 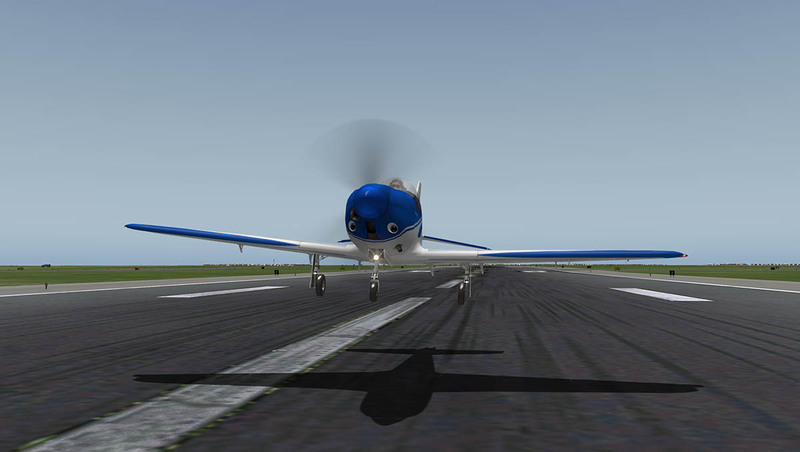 Adding in power a lot helps, but then you have the situation of a very light airframe pulling against a lot of drag. 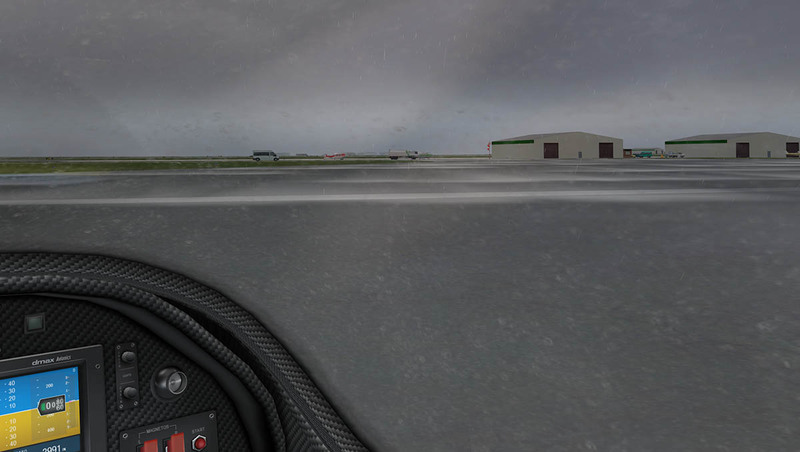 Add in some spice with some light winds (or worse bad crosswinds) and then you have a handful on the stick. Your approach speed is about 100 Km/h (54 kts) so you don't come come up on to the runway at a slow speed, but you slowly sort of gradually sort of get there... eventually. Once over the threshold it will nicely sit down and do a short roll to a stop, but are you sweating there a little? The lightweight is what makes the Prime fun. 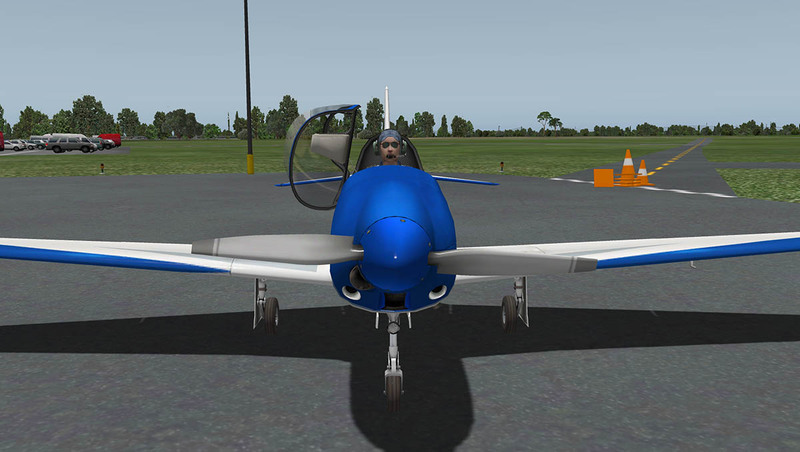 You have to fly this aircraft in the lower speeds with skill, but it also has the power when clean to go quite fast. You have two knobs to set the lighting. One for lighting the panel (Instruments) and one for lighting the cockpit. Between the two adjustments you can find the best conditions that suits you. 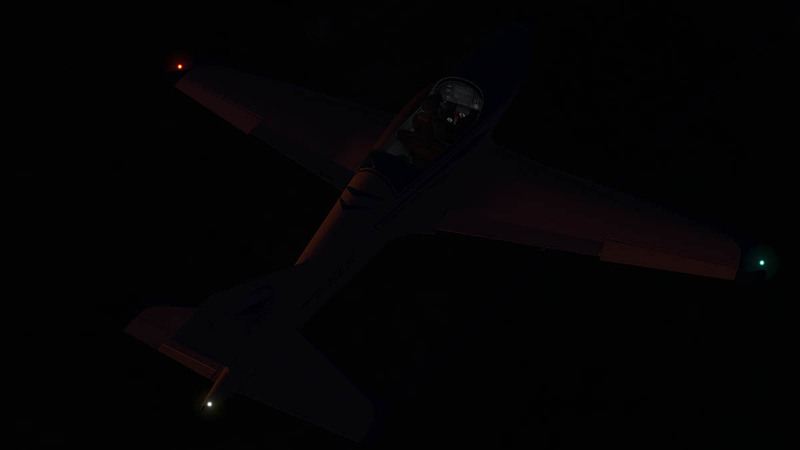 Outside there is only one landing light and the standard Nav/strobe lights. 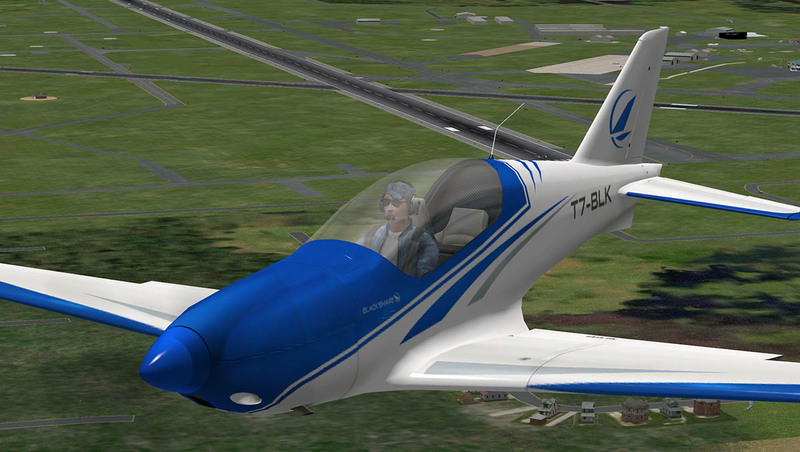 An interesting aircraft that is a very light-weight design, but still extremely fast (for its class). 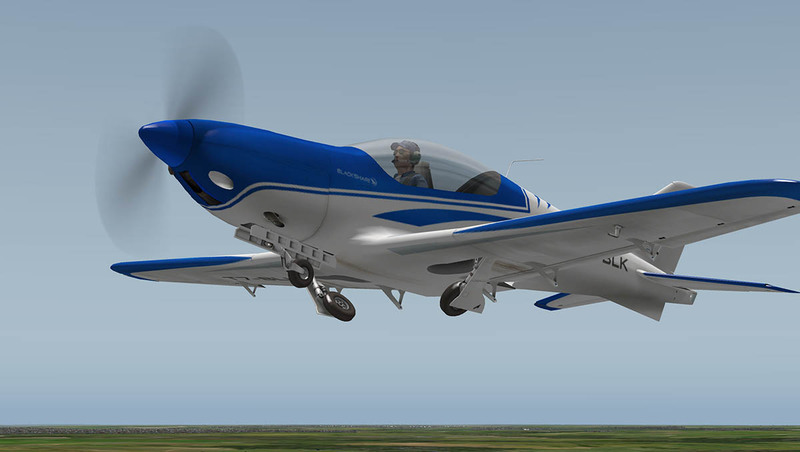 Makes the Prime a great aircraft for buzzing around and enjoying a machine that is not only very modern in design but can at points be a challenge to master under very low speeds. Its is a fun machine is the best way to sum it up. Textures are average and the liveries feel like an afterthought, but the design and details were it counts are excellent and overall the aircraft is very good. At just under US$16 it is very good value as well. 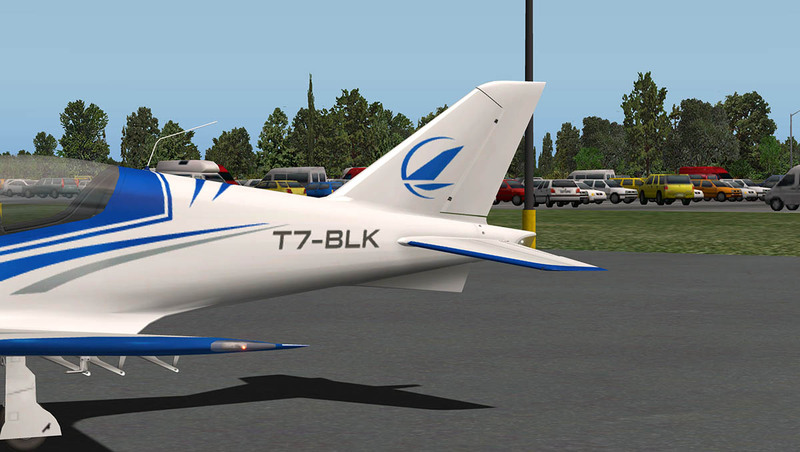 Installation : Blackshape Prime 1.3 is a download of 44mb and is expanded into your X-Plane Aircraft folder at 55.1mb. 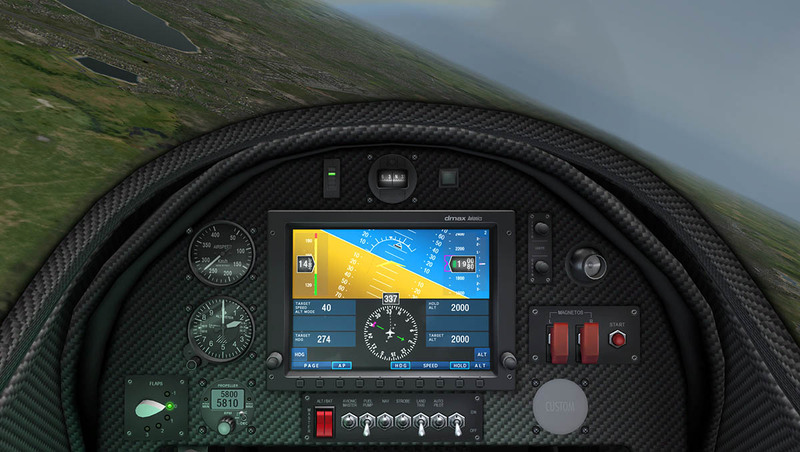 Some downloads have the issue of the EFIS and partial panel that only fills the entire 1920x1080 screen with no outside view in 2d? 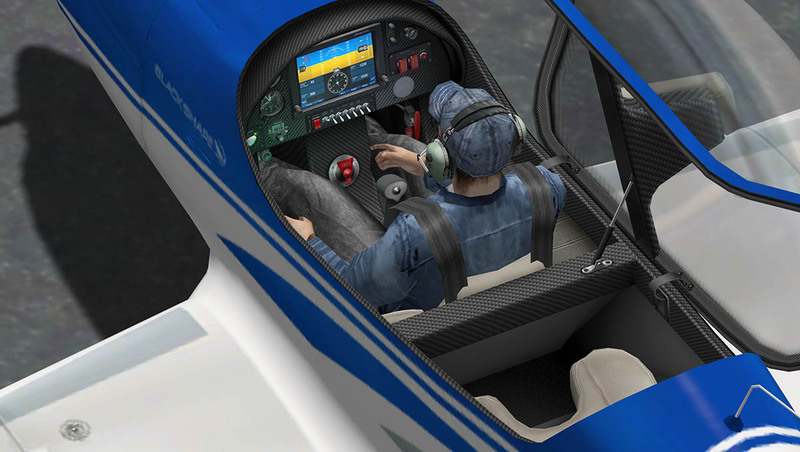 If you get this you can re-download or fix it yourself by opening the acf in PlaneMaker and go to: standard menu -> viewpoint window -> view tab and then check the "show cockpit obj in: 2-d forward panel views". 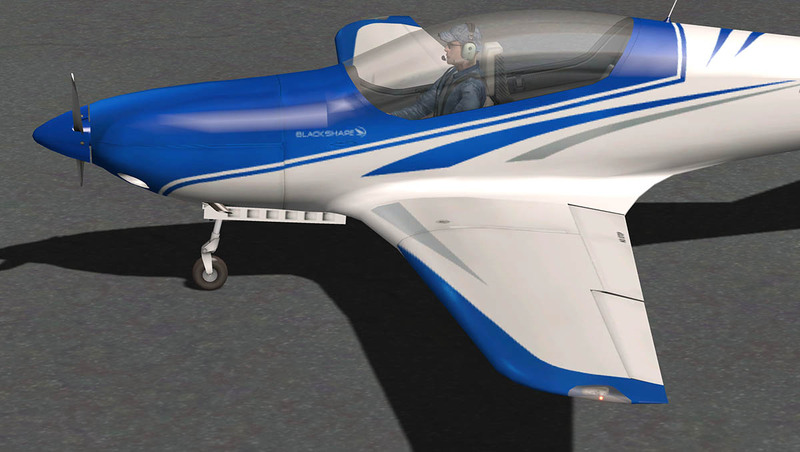 The Blackshape Prime v1.3 is now available from the X-Plane.Org Store. When you tested Blackshape Prime did you try to move an instrument into the "custom instrument" spot provided? Did the provided instructions work? I ask because my copy won't do this as advertised and I haven't been able to get help, or even a response from anyone! Well both "custom Instrument" changes require you to know how to change the instrument in PlaneMaker and in the code, with values and dataref's, I didn't go down that path for a review because it is not relevant for the review. Check with .orgStore support to get a link to dmax3d. 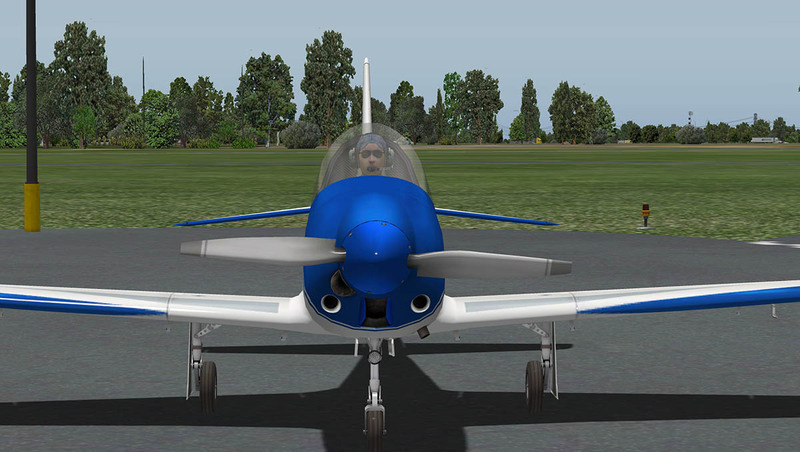 The instructions which come with the download say: to move an instrument to the provided custom space open the aircraft in Planemaker, select 2D panel and simply drag your required instrument from the list to this space. No mention of code or daterefs! As an advertised feature of a payware model this is surely relevant. Thanks for the response. I'll try the .orgStore. "but you slowly sort of gradually sort of get there... eventually." This made my day, literally. I don't think that is allowed? You will be breaking the copyright of the work? no matter what you want to use it for. Tooling along and the a/c appears to loose power while the windscreen becomes partially occluded as from an oil leak or something. 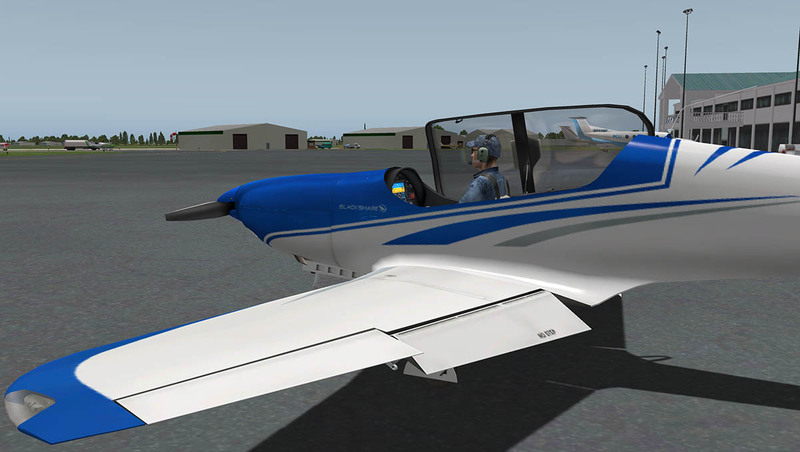 No obvious changes on the engine instruments. What gives?